This is .22 Mag Remington Premier Accu-Tip V-Max Ballistic Tip Ammo. This ammo has a 33gr. 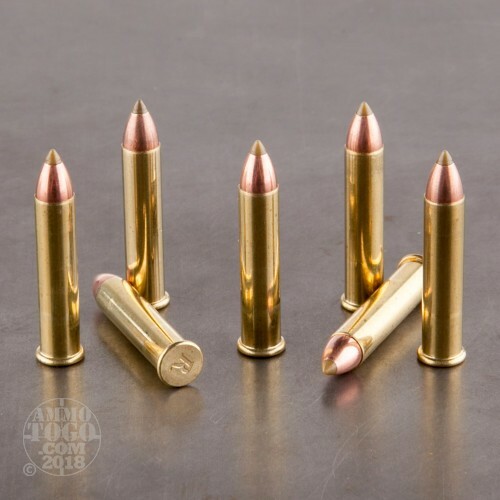 Accu-Tip V-Max Ballistic Tip Bullet. When your looking for a rimfire cartridge with a centerfire attitude! 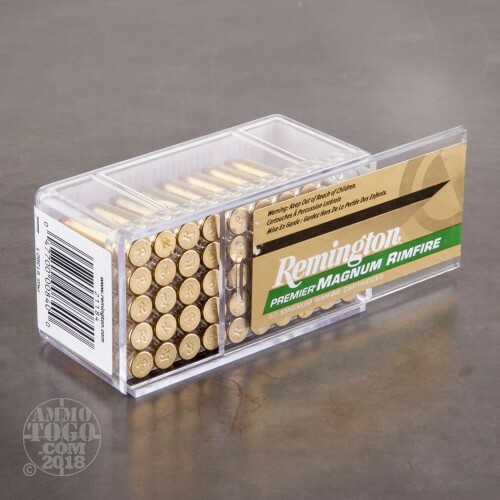 Remington's got you covered with their complete line of Premier Gold Box Rimfire ammunition. 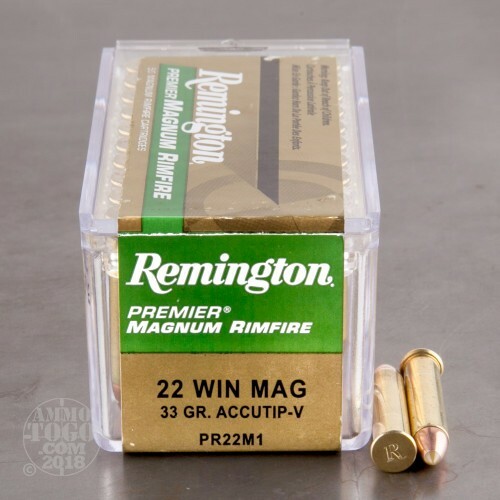 Using the same bullet design found in their Premier AccuTip centerfire cartridges, the AccuTip-V-Max precision-engineered polymer tip provides match-type accuracy, more on-game energy, and rapid expansion. If your wanting a devastating, Rapid expanding and precision accurate ammo for your .22 Mag, this is the ammo for you. 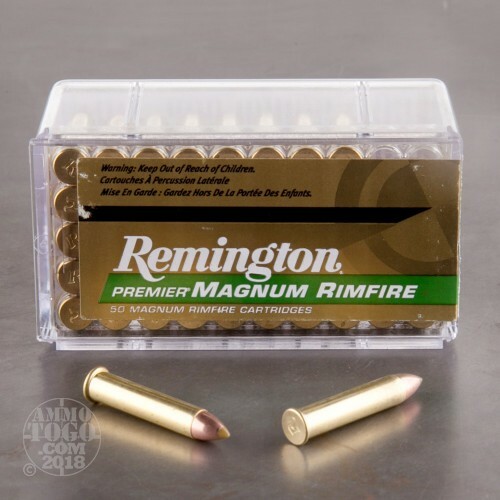 There is nothing on the market that will expand like this ammo. It is packed in 50rd. boxes.